Thirty-four rare and valuable Mercedes-Benz from 1928 to 2015, including Intermarque Concours Masters and Teams event winners from over the past 20 years, will be the star attraction at the 2019 New Zealand Classic Car Ellerslie Classic Car Show on 10 February. 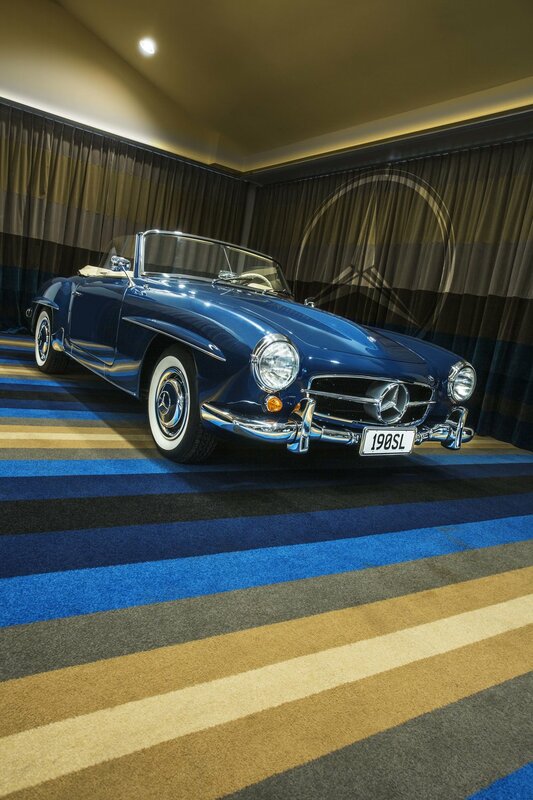 The collection, put together by Mercedes-Benz Club of Auckland, will be the most valuable and best Mercedes display ever seen in New Zealand. A two-car Mercedes-Benz Club entry won the Concours Team’s event in 2018, scoring 1117 points, the highest ever awarded in the show’s 46-year history — making the club the show host for 2019. Reflecting the Classic Cover Insurance display competition theme, the Collectables, the Club will show cars from various decades that are either unique or have unique features, including seven of nine Concours winners. 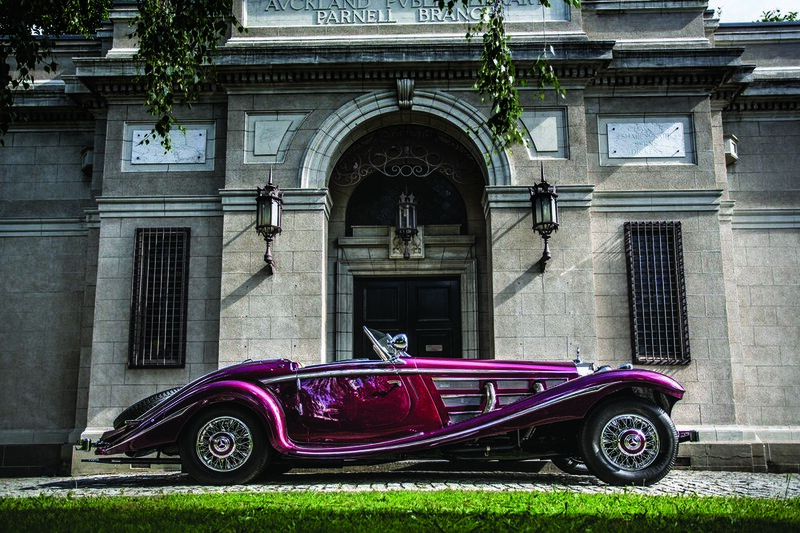 Show organizing committee chairman, Garry Boyce, a passionate and knowledgeable Concours-winning Mercedes owner, says club experts went over all 34 cars and put a value on each one — calculating a total worth of over $12,500,000. The cars include two 190 SL Roadsters, one 220 SE Cabriolet, two 280 SL Roadsters, and two 300 SL Roadsters. There will also be a 1928 SK Roadster reconstruction, a 1938 540K Special Roadster, and three 300 SL Gullwings, including a 1955 300 SL loaned by the Southward Car museum. This will be the first time the three 300 SLs in New Zealand will be seen in the same place at the same time. A selection of ’50s models includes a 170 SD, 220 A, Round Pontons, Cabriolets, Coupés, and Saloon cars, as well as the best 300 D in New Zealand. From the ’60s, the Club has selected Finbacks, Coupés, and Cabriolets, including a 1964 220 SEC reworked as a long-distance endurance rally car that’s about to be shipped to China to compete in the 2019 Peking to Paris event. There are also two massive M100 V8s — a 300 SEL 6.3 and a 450 SEL 6.9. These cars are efficiently called the bankers’ hot-rods. More modern Club cars from the ’70s onwards include the best 350 SLs, 450 SEC, 230 CE, and 500 SEC. There’s also a 190E 2.3 Cosworth, a late model AMG SLS Gullwing, an SLK 55, and a CLK 240 cabriolet. The Ellerslie event is always held on the second Sunday in February, and over the decades has become the highlight of the New Zealand car lovers’ calendar. This one is the 48th, and like other years, has attracted top prestige and performance car dealerships — some 70 car clubs and enthusiasts from around the country. Unlike bigger or more commercial events aimed at the general public, the show is club and enthusiast focused and not about sales, so it attracts smaller, albeit more affluent, numbers. Most years, dealers quietly tell organizers about ‘casual’ site visitors who end up buying a $100–300,000 exotic — even in 2018, when rare heavy rain literally washed out the event. On average, show visitors and participants tend to be 40+ and affluent — if only for the need to afford ownership, maintenance, and restoration costs. Feedback suggests most enjoy the relaxed, no-pressure atmosphere and so spend longer talking with brand representatives even in the wet. The Club’s display vehicles, ranging from early 1900s through to modern exotics, are valued from thousands of dollars each to $3–4 million. The calibre of many vehicles reflects the reputation and workmanship of the NZ restorations industry, which is rated internationally among the world’s best. Some have taken laurels at California’s Pebble Beach Intermarque Concours and appeared at other classic car competitions around the world. On the new vehicle front, the Giltrap Group will show the latest from Aston Martin, Audi, Bentley, Jaguar, Lamborghini, Land Rover, Porsche, Volvo, and more. Alfa Romeo and Maserati are back with a stunning line up along with first-time exhibitors Renault, Infiniti, and others. Specialist exhibitors include Auckland Transport (targeting drivers of older cars), South Island classics dealer Waimak Cars, Protect Auto Paint Protection, Obsessive Car Detailing, Jensen Classics, USA Streetwear, Octane Books, and the ever-popular McDonalds (used) Books. This year, the nominated charity is the Prostate Cancer Foundation of NZ Inc., publicizing their work at the event via a free display site. The Ellerslie event is about more than just a car show. It’s the country’s only professionally judged classic car restoration event with competition participants benefiting from generous sponsorship from Meguiar’s and Classic Cover Insurance. The best cars, entered individually or as club teams, vie for coveted awards ranging from the Intermarque Team Shield to Masters’ Class for individual vehicles, and best unrestored Survivor. The Classic Cover Insurance Best Club Display this year, the Collectables, will provide information on what makes marques collectable and must-have. Each year, the day before the show, the MG Car Club organizes a day-long, Auckland-wide, Meguiar’s Tours d’Elegance, departing from six destinations to end up at Vellenoweth Green in St Heliers. Around a hundred participants benefit from Meguiar’s sponsorship and homage. It takes a year, and a committee of 10 representing car clubs, to organize an event this big — and it’s all voluntary with dozens of host-club workers on the day. Although it’s run like a business, it’s staged by an Incorporated Society whose members are car clubs. Already, they’re thinking ahead to next year, and long-term, the 50th anniversary event in 2022. So, while this year will all be done and dusted by Sunday night, 10 February, only a few weeks later, a review begins of every aspect of the day to ensure the following year is even better.